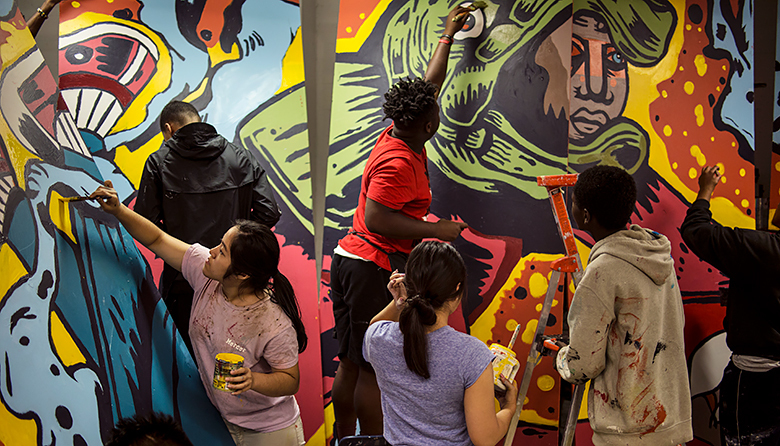 ArtsFund social impact study finds broad link between arts and the advancement of community priorities. Can the arts change communities? ArtsFund, the Seattle-based nonprofit that works to strengthen arts and cultural organization, has released a new research study — Social Impact of the Arts in King County — showing that the arts, though often underutilized and unacknowledged, can positively transform and benefit communities in such areas as youth development and education, health and wellness and neighborhood vitality. Involvement in arts can improve academic and social outcomes for young people across socioeconomic strata. In and out of medical settings, the arts have a direct influence on individual and community health, leading to longer lives that are better lived. The presence of arts in neighborhoods is linked to positive social determinants and community cohesion. Click here to learn more about the ArtsFund study.